The Elisabeth Clawfoot Bath is a luxurious freestanding bath tub, which is perfect for traditional as well as contemporary bathroom designs. 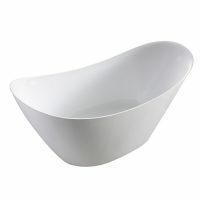 Featuring a classic clawfoot design, it is made out of premium acrylic and sports a gorgeous white finish. 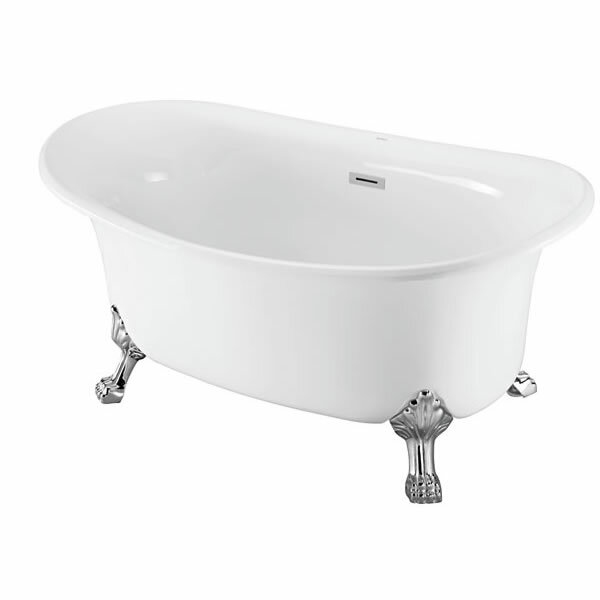 The Elisabeth Clawfoot Bath measures 1700x840x670mm in dimensions. You will experience the perfect blend of luxury and practicality with this clawfoot bath. It features a smooth interior and exterior finish, which is incredibly striking. 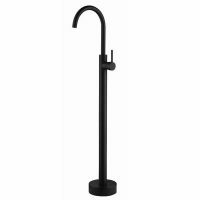 It comes pre-equipped with a drain and overflow assembly (with polished chrome trim) and is designed to offer easy installation in any bathroom. Due to high-quality manufacturing from premium grade acrylic, the Elisabeth Clawfoot Bath is exceptionally durable and sturdy. It is designed to withstand the test of time and it will last you many years to come. Trust it to offer superior quality and great value for money. For luxurious clawfoot baths in Perth, you’ll find nothing better than the Elisabeth Clawfoot Bath at Ross’s Discount Home Centre. 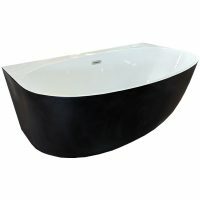 Shop online to purchase this gorgeous freestanding bath tub at the best possible price today!